October 4 is the 277th day of the year(278th in leap years) in the Gregorian calendar.There are 88 days remaining until the end of the year. 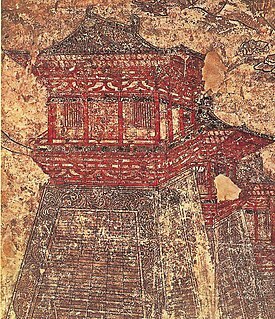 AD 23 – Rebels sack the Chinese capital Chang'an during a peasant rebellion. They later decapitate emperor Wang Mang. 1227 – Assassination of Caliph al-Adil of Morocco. 1302 – The Byzantine–Venetian War comes to an end. 1363 – Battle of Lake Poyang: In one of the largest naval battles in history, Zhu Yuanzhang's rebels defeat rival Chen Youliang. 1511 – Formation of the Holy League of Aragon, the Papal States and Venice against France. 1535 – The Coverdale Bible is printed, with translations into English by William Tyndale and Myles Coverdale. 1582 – The Gregorian Calendar is introduced by Pope Gregory XIII. 1597 – Governor Gonzalo Méndez de Canço begins to suppress a native uprising against his rule in what is now Georgia. 1636 – Thirty Years' War: The Swedish Army defeats the armies of Saxony and the Holy Roman Empire at the Battle of Wittstock. 1693 – Nine Years' War: Piedmontese troops are defeated by the French. 1777 – American Revolutionary War: Troops under George Washington are repelled by British troops under William Howe. 1795 – Napoleon first rises to prominence by suppressing counter-revolutionary rioters threatening the National Convention. 1824 – Mexico adopts a new constitution and becomes a federal republic. 1830 – The Belgian Revolution takes legal form when the provisional government secedes from the Netherlands. 1853 – The Crimean War begins when the Ottoman Empire declares war on the Russian Empire. 1876 – The Agricultural and Mechanical College of Texas opens as the first public college in Texas. 1883 – First run of the Orient Express. 1883 – First meeting of the Boys' Brigade in Glasgow, Scotland. 1895 – Horace Rawlins wins the first U.S. Open Men's Golf Championship. 1904 – The IFK Göteborg football club is founded in Sweden. 1917 – World War I: The Battle of Broodseinde is fought between the British and German armies in Flanders. 1918 – World War I: An explosion kills more than 100 people and destroys a Shell Loading Plant in New Jersey. 1936 – The British Union of Fascists and various anti-fascist organizations violently clash in the Battle of Cable Street. 1941 – Norman Rockwell's Willie Gillis character debuts on the cover of The Saturday Evening Post . 1957 – Sputnik 1 becomes the first artificial satellite to orbit the Earth. 1958 – The current constitution of France is adopted. 1960 – An airliner crashes on takeoff from Boston's Logan International Airport, killing 62 people. 1963 – Hurricane Flora kills 6,000 in Cuba and Haiti. 1965 – Pope Paul VI begins the first papal visit to the Americas. 1966 – Basutoland becomes independent from the United Kingdom and is renamed Lesotho. 1967 – Omar Ali Saifuddien III of Brunei abdicates in favour of his son. 1983 – Richard Noble sets a new land speed record of 633.468 miles per hour (1,019.468 km/h) at the Black Rock Desert in Nevada. 1985 – The Free Software Foundation is founded. 1991 – The Protocol on Environmental Protection to the Antarctic Treaty is opened for signature. 1992 – The Rome General Peace Accords end a 16-year civil war in Mozambique. 1992 – El Al Flight 1862 crashes into two apartment buildings in Amsterdam, killing 43 including 39 on the ground. 1993 – Battle of Mogadishu occurs killing 18 US Special Forces, two UN Peackeepers and at least 600 Somalian militia men and civilians. 1993 – Tanks bombard the Russian parliament, while demonstrators against President Yeltsin rally outside. 2001 – Siberia Airlines Flight 1812 crashes after being struck by an errant Ukrainian missile. Seventy-eight people are killed. 2003 – The Maxim restaurant suicide bombing Israel kills twenty-one Israelis, both Jews and Arabs. 2004 – SpaceShipOne wins the Ansari X Prize for private spaceflight. 2006 – WikiLeaks is launched. 2010 – The Ajka plant accident Hungary releases a million cubic metres of liquid alumina sludge, killing nine, injuring 122, and severely contaminating two major rivers. 2017 – Nigerien and US Special Forces ambushed by Islamic State militants outside the village of Tongo Tongo. AD 23 (XXIII) was a common year starting on Friday of the Julian calendar. At the time, it was known as the Year of the Consulship of Pollio and Vetus. The denomination AD 23 for this year has been used since the early medieval period, when the Anno Domini calendar era became the prevalent method in Europe for naming years. Wang Mang, courtesy name Jujun, was a Han Dynasty official and consort kin who seized the throne from the Liu family and founded the Xin Dynasty (新朝), ruling 9–23 AD. The Han dynasty was restored after his overthrow, and his rule marks the separation between the Western Han Dynasty and Eastern Han Dynasty. Some historians have traditionally viewed Wang as a usurper, while others have portrayed him as a visionary and selfless social reformer. Though a learned Confucian scholar who sought to implement the harmonious society he saw in the classics, his efforts ended in chaos. 1961 – Kazuki Takahashi, Japanese author and illustrator, created Yu-Gi-Oh! Alys of France, Countess of Vexin was the daughter of King Louis VII of France and his second wife, Constance of Castile. Louis VII, called the Younger or the Young, was King of the Franks from 1137 to 1180, the sixth from the House of Capet. He was the son and successor of King Louis VI, hence his nickname, and married Duchess Eleanor of Aquitaine, one of the wealthiest and most powerful women in western Europe. The marriage temporarily extended the Capetian lands to the Pyrenees, but was annulled in 1152 after no male heir was produced. Year 744 (DCCXLIV) was a leap year starting on Wednesday of the Julian calendar. The denomination 744 for this year has been used since the early medieval period, when the Anno Domini calendar era became the prevalent method in Europe for naming years. Yazid ibn al-Walid ibn 'Abd al-Malik or Yazid III was an Umayyad caliph. He reigned for six months, from April 15 to October 3 or 4, 744, and died in that office. Independence Day, celebrates the independence of Lesotho from the United Kingdom in 1966. Ammon, Amun, Ammonas, Amoun (Ἀμοῦν), or Ammonius the Hermit was a 4th-century Christian ascetic and the founder of one of the most celebrated monastic communities in Egypt. He was subsequently declared a saint. He was one of the most venerated ascetics of the Nitrian Desert, and Saint Athanasius mentions him in his life of Saint Anthony. His name is the same as that of the ancient Egyptian god Amun. Saint Francis of Assisi, born Giovanni di Pietro di Bernardone, informally named as Francesco, was an Italian Catholic friar, deacon and preacher. He founded the men's Order of Friars Minor, the women's Order of Saint Clare, the Third Order of Saint Francis and the Custody of the Holy Land. Francis is one of the most venerated religious figures in history. ↑ "Mikolas Josef je novou tváří návrháře Lukáše Macháčka" (in Czech). ČTK. 14 February 2016. Wikimedia Commons has media related to October 4 .